I imagine Doug has our heroes visiting some art installation in London and they are pondering if they are strong enough to turn the sides or for that matter, solve the puzzle. 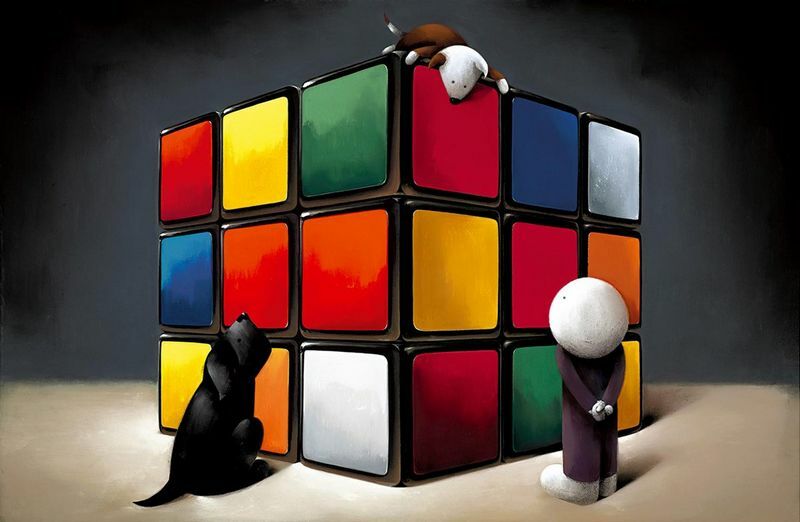 Clearly the brown and white dog has run away with himself and climbed on top of the cube for a closer look, we just hope security hasn’t seen him! 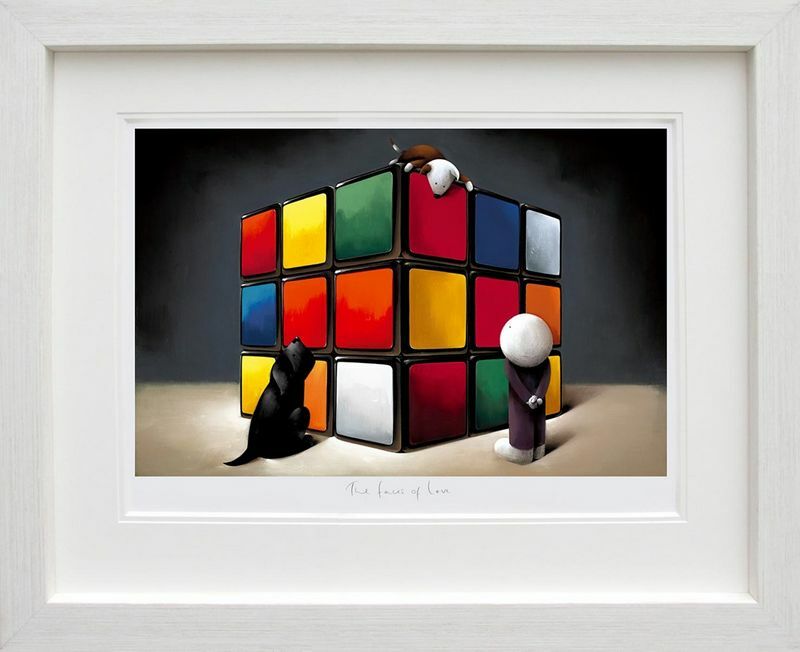 A simple image and a clever way for Doug to imbue multiple paint colours onto a limited print; the result is a cacophony of brilliant bright colours and a reminder of one of your favourite (or frustrating!) 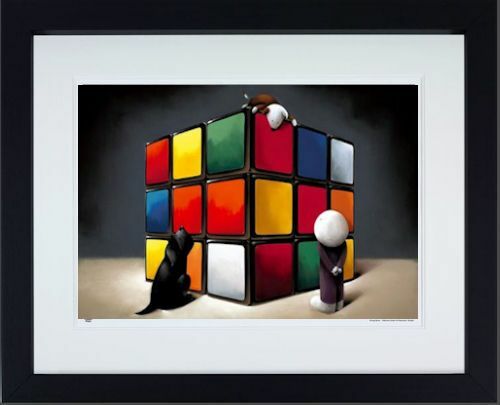 childhood toys, the humble Rubik’s Cube. Incidentally, this picture appears on the front of the collector’s book Doug has also just released similarly called: ‘The Many Faces Of Love,’ which is also inside the ‘The Box Of Love - Box Set’ and comes highly recommended by us.